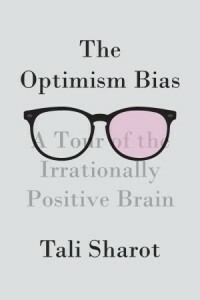 I just finished reading The Optimism Bias by Tali Sharot. The book explains that most people have an "Optimism Bias," a tendency to over-estimate how smart, good-looking, and capable they are as well as the likelihood that good things will happen to them. Sharot points out that in a 1981 study (Swenson O) 93% of participants rated themselves as in the top 50th percentile (i.e. 'above average') for driving ability. Other studies have shown that this "Better than Average Effect" applies to many aspects of our self-image. Think about yourself right now... do you think you are smarter than average? better looking than average? nicer than average? etc. You probably do. And even though it is logically impossible for 93% of people to be better than the 50% mark, you probably still think that you are actually better/smarter/nicer. So even though you think you are smarter than most people, the reality is that most people think they are smarter than most people. Similarly people under-estimate the likelihood that bad things will happen in their life and over estimate the likelihood that good things will happen. Ask any newly engaged couple what they think their chances of divorce are, and if not too offended by such a rude question, they will probably rate the chance of divorce as very low or even zero. 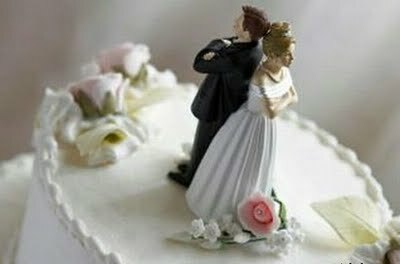 However reality says that they actually have a 41-50% chance of divorce. But as Sharot claims, this optimistic skew to reality is actually beneficial. Which newly engaged couple would actually get married if they fully realized and believed that their chances of staying married were no better than the chance of flipping heads or tails on a coin? The irrational belief that we are somehow exceptional is motivating. Sharot even suggests that the optimism bias is so prevalent in our species and culture that people who realistically evaluate their situation are not the norm, and may even be clinically depressed. While The Optimism Bias has a great premise and recounts some exciting research, I thought the book in general was way too long. Some very simple concepts (like that people have an optimism bias) were repeated over and over and over, and some (interesting) concepts were introduced that had pretty much nothing to do with optimism (like that memories are unreliable). The book didn't really teach me much about how the brain works, but it did set me thinking about how a strong optimism bias is an essential trait in academia. As the Kahneman quote above states, most scientists face critique after critique and failure after failure. Successes are few and far between and the same sense of realism that would prevent many a marriage, would also prevent a potential scientist from entering a Ph.D. program. Who would even apply to graduate school if they fully understood and believed the dismal statistics about finishing Ph.D. programs and the subsequent tenure-track job search. We have to believe that we are special, that our work is crucial, and that our contributions are significant. No scientist will succeed if they get their peer-reviewed paper back from a journal and immediately think: 'yep, the third reviewer is correct, this work is flawed and has little impact, I should quit and become a cab driver.' A near-delusional sense of significance and an "it's not me, it's them" attitude is required to stand by your ideas and abilities in the face of these kinds of criticisms. I just accidentally deleted this comment by Jesse Marcyzk: "If you're interesting in considering the functionality of these kind of biases, you might find this post over at Robert Kurzban's blog interesting: http://www.epjournal.net/blog/2011/11/advantages-of-error/ "
Good points all, i would only add that such a bias unchecked is also bad for science...we see so many examples of people doing ok to good science that think they are "geniuses" and think that "every" idea that they have is gold... this is distracting and misleading. I have the most respect for people that seem to have more realistic views of their successes and failures, yet somehow have the resilience to recover from failure, yet again, and persevere towards a worthy path. I think that those people are the true geniuses and really move science forward. Besides, what's wrong with average if you still have a good idea from time to time that you can get done? I think better we need to dissociate the idea that only good science or good work in general comes from the truly "gifted", i think that's a myth, they may contribute some gems from time to time, but we continually ignore the valuable contributions made by the masses, the averages like me, or ignore the value to be gained when averages work their asses off? that's a good point Jen. An Optimism bias can go too far. If someone is too irrationally optimistic they might take ridiculous risks (like excessive gambling and not saving for the future and so forth), but I still think that some hope and expectation that things will 'go well' or 'get better' (even if this is not a realistic expectation) is necessary to persevere in the face of adversity. The optimism bias seems to be an inherited property but not one which we learn. So how did it arise evolutionarily? Your explanation for the bias is that realism prevents one from relatively risky decisions (no risk no reward). But in an evolutionary sense, too risky decisions are bad decisions. The same problem exists for people who are taking too less risks: This would be a problem of pessimism. The optimal balance of too much an too little risky behaviour is called - realism. Therefore there must be another explanation for the optimism bias. Maybe the it is an inevitable _side effect_ of other properties of the brain. Sharots explanation for the optimism bias is basically the fact that optimistic people are happier (which is good for health) than realists which are mildly depressive. It's clear Sharot is not an evolutionary psychologist but a neurobiologist: Sharots explanation does not explain the optimism bias. It only shifts the emphasis to another question: Why are optimistic people more happy than realistic ones? How high are you exactly?